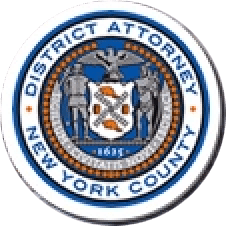 Manhattan District Attorney Cyrus R. Vance, Jr., today announced the indictment of LUIS BONILLA, 54, a computer repairman, for possessing graphic materials depicting the sexual assault of young children. The defendant is charged in a New York State Supreme Court indictment with Promoting a Sexual Performance by a Child and Possessing a Sexual Performance by a Child, among other charges. According to the indictment and documents filed in court, between January and May 2017, the NYPD and Manhattan District Attorney’s Office conducted an online investigation into the possession and distribution of images of child sexual assault through peer-to-peer sharing technology. After investigators identified the IP address associated with the defendant—who was using a cloned modem in an attempt to impersonate another internet services subscriber and conceal his own identity, location, and online activities—a search warrant was executed at BONILLA’s apartment in Washington Heights, where approximately four modems, twenty laptops, multiple cellphones, tablets, and external storage devices were recovered. The seized items included a laptop and cellphone belonging to BONILLA and contained multiple videos of explicit sexual acts involving young children between the ages of 3- and 12-years-old. Assistant District Attorney Elise Roecker is handling the prosecution of the case under the supervision of Assistant District Attorneys Daniel Holmes, Elizabeth Roper, and Jeremy Glickman, Deputy Chiefs of the Cybercrime and Identity Theft Bureau, Assistant District Attorney Brenda Fischer, Chief of the Cybercrime and Identity Theft Bureau, and Executive Assistant District Attorney Michael Sachs, Chief of the Investigation Division. David Chan, Deputy Director of the High Technology Analysis Unit, provided significant assistance with the investigation. District Attorney Vance also thanked the members of the NYPD Organized Crime Investigation Division and Criminal Enterprise Investigative Section, and in particular, Detective Damon Gergar, Sergeant Dominick Desiervi, Lieutenant Enrique Santos, Chief Brian McCarthy, and Deputy Inspector Dominick D’Orazio, for their assistance with the investigation.